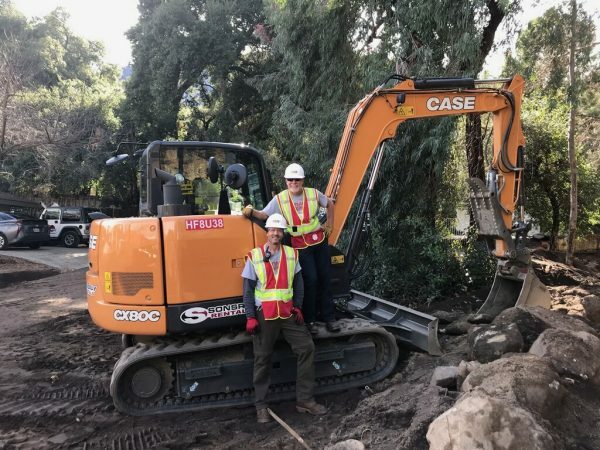 CASE Construction Equipment and Sonsray Machinery donated the use of a CX80C excavator to Team Rubicon for Operation Wind River, a response to the wildfires that burned more than 23,000 acres between Orange and Riverside counties in California. Operation Wind River assisted residents in the Robin Hood Oaks community, located in Lake Elsinore, Calif. After the wildfire was contained in mid-September, the community experienced heavy rainfall leading to mudslides. Additional rain caused severe flood damage to three homes. However, the operation cleared debris from the creek to alleviate ongoing flood risks and further damage to homes in the area. For more information or to donate to Team Rubicon, visit TeamRubiconUSA.org.